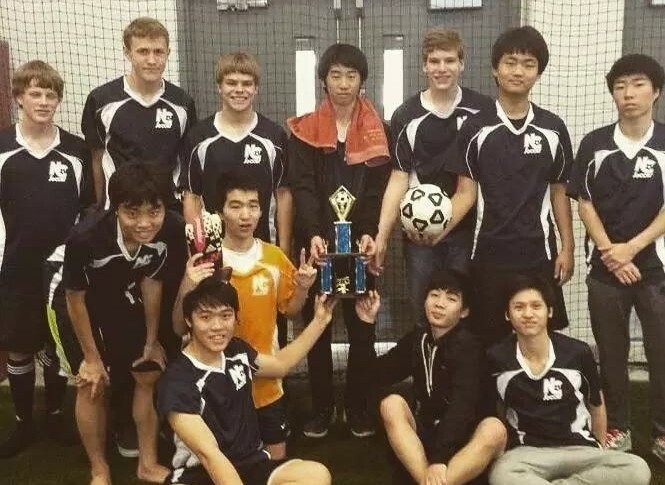 The Nebraska Christian Boys’ Soccer League Team was awarded the 2015 Sportsman of the Year Award from the Grand Island High School Indoor Soccer League. The boys showed phenomenal sportsmanship throughout the year and were always a positive influence to the other teams. The season wrapped up February 21st at the Fonner Park Indoor Fieldhouse. The boys played a lot of Class A schools such as Grand Island Senior High, Kearney High, and Norfolk. The boys didn’t win a game this year, but they always showed true sportsmanship, a competitive fighting spirit and perseverance to never give up. The Eagles will be returning an experienced younger team that hopes to compete better with the Class A schools. With hard work, dedication, and faith, they can conquer anything next year. Pictured above: Row 1: Lewis Nguyen, Martin Nguyen, Austin Nguyen. Row 2: Phillip Nguyen, Tom Kang. Row 3: Ryan Dexter, Cameron Langemeier, Matt Myers, Jihoon Kim, Daniel Myers, Ji Ha Kim, Kyle Kim. Andrew Sack is a member of the class of 2015. He is from Marquette, Nebraska. Andrew has attended NC for 13 years. 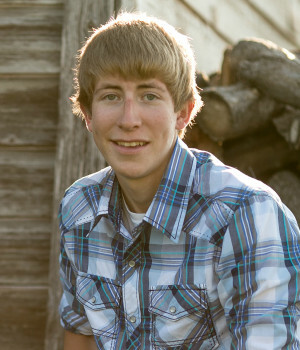 He will be graduating this May and attending Milford in the fall. Andrew enjoys the shop classes taught by David Gee. "Shop classes are a lot of fun and teach you important things that will come in handy later in life," he says.